I received a Tweet from Tim Ferriss about this inspiring new video that was released from the TED Event recently held in Edmonton Alberta Canada. Without further ado, here is Cameron Herald from TEDxEdmonton. Excellent video – I noticed Ferris “Facebook’d” it this morning. I am a big TEDtalk fan – and this is one of my favorites in awhile. I remember you sharing a similar sentiment when Ignite was launching (re: schools not fostering entrepreneurs). I like your blog post title too – makes it seem like scientists are genetically building super entrepreneurial babies. LOL yeah that would be a logical next step. But then people would lose the adventure of personal growth when they would no longer be required to face their fears. This video is BRILLIANT! I have been saying that we don’t teach kids to be biz owners for a while. What an awesome find. I agree. You were one of the first people I thought of when I saw this video because it is stuff we discuss all of the time. It seems like a lot of people who have seen this video agree with the message…even the non-entrepreneurs… which is COOL! His averages were right on course with mine…. a D+!!! I kind of wish I could start teaching my kids about finding work NOW to be paid for. A bit soon at 3 & 2 but looking forward developing their work for self skills and enhancing their natural talents. I was also thinking about my kids the entire time I watched this video and I was very grateful to hear the message when I did. I want all parents to hear this. TED has some of the BEST videos on the Internet right now. I go there often whenever I need inspiration. Hey Scott, Thanks for stopping by. I agree, the TED videos are tough to beat and always a great choice if you need a new source of inspiration. A very inspirational and thoughtful video, Justin. Thanks so much for sharing it. I must admit that i haven’t watched a lot of the TED videos, which is on my to-do list. This was a great one with a very timely message. There are so many great TED videos and I have yet to see many that have been recommended to me. I find it very exciting that these kinds of videos are picking up more of a following. I think it speaks to the evolution of more people to be more free-thinking and in quest of new knowledge and information…which can only mean great things for our future as a society. That was an excellent video. I was raised by an entrepreneur father and was taught a lot of those lessons which I try to pass on to my kids. I will admit that I need to clamp down a little tighter on a few things but I always give them the opportunity to think independently, solve problems on their own, and be resourceful. In the end, I want them to do what makes them happy. Forget everyone else. I’m reading ‘Now, Discover Your Strengths’ by Marcus Buckingham right now. It teaches to play to your strengths instead of working on our weaknesses like we’re taught throughout our lives. I have seen some of Marcus Buckingham’s work online so I can only imagine that it must be a great read. Enhancing strengths and managing weaknesses has also been a fantastic characteristic of successful entrepreneurs! This video is a great reminder about the basics of living life to our full potential from a young age. Even though its quite a while ago I still remember some of my high school teachers labeling me as a “No Hoper” just because my grades were low and I struggled to fit in to the norm. Entrepreneurship and basic self initiative should be taught in all schools. How ever the hi tech world we live in, sometimes we miss the basics of good old self determined principals that are outlined in Teds video. I agree Stan. Teaching entrepreneurial skills in school could be absolutely huge in terms of impacting a child’s life. In many cases, these kind of classes may help the student actually figure out what they ‘truly’ want to do with their life. I LOVE THIS POST! Thanks so much Justin for this awesome topic, it’s exactly what drives me – supporting entrepreneurship in the younger generation. My blog will be circling around this topic under the personal development umbrella. You are really publishing some fantastic content my friend, Ignite Your Essence is bookmarked in my favorites! Glad you liked it Leigh. 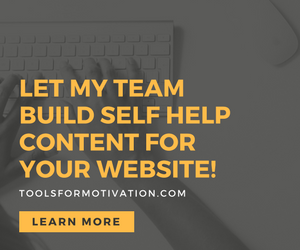 I think that is an excellent idea in terms of blog content and you will have no shortage of great ideas you can inject into the younger audience! Always refreshing to hear a ratoanil answer.